When you think geospatial you think data, right? You imagine GIS professionals working their butts off making normalized datasets that have wonderful metadata. Nah, that’s just some slide at the Esri UC where “best practices” become the focus of a week away from the family in the Gaslamp. For some reason, GIS has become more about the how we do something and less about the why we do something. I guess that all that “hipster” and “technologist” thinking that goes into these “best practices” loses the focus on why we do what we do, the data. So much of what we do in our space is wasted on the tools to manage the data anymore. Sure in the 90s we needed to create these tools, or improve them so they could rely on enough to get our work done. But the analysis libraries are basically a commodity at this point. I can probably find 100 different ways to perform a spatial selection on GitHub to choose from. Personally, I can’t even recall opening ArcGIS or QGIS to solve a problem. There just isn’t a need to do so anymore. These tools have become so prevalent that we don’t need to fight battles over which one to use anymore. Thanks to Google and OpenStreetMap, base maps are now commoditized to the point that we rarely pay for them. That part we can be sure that we’ve got the best data. (Disclosure, Cityzenith users Mapbox for our base mapping) But everything else is still lacking. 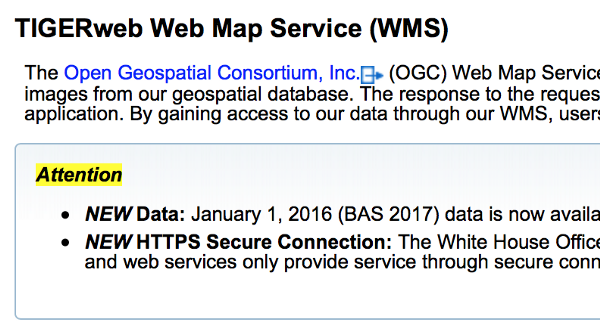 I won’t pick on any vendor of data but generally, it works the same way, you either subscribe to a WMS/WFS feed (or worse, some wacky ArcGIS Online subscription) and if you’re “lucky”, a downloaded zip file of shapefiles. Neither lends itself to how data is managed or used in today’s companies. There are so many choices people have on how they can perform analysis on data. Pick and choose, it’s all personal preference. But access to the most up-to-date, normalized, indexed and available data for their area of interest. That’s why our focus has been partnering with data providers who have these datasets people need and present them to our users in formats and ways that are useful to them. Nobody wants a shapefile. Get over it. They want data feeds that they can bring into their workflows that have no GIS software in them whatsoever. As I sit and watch the news from the Esri UC it is a stark reminder that the future of data isn’t in the hands of niche geospatial tools, it’s in the hands of everyone. That’s what we’re doing at Cityzenith.